The Tower of Majesty is a tower with 60 meters height. 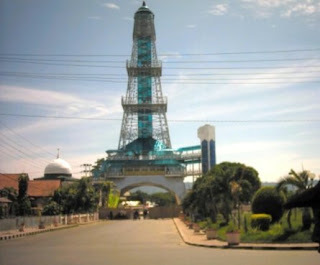 On the top of this tower, there are telescopes, which are served to explore the beautiful sight of Limboto Lake. Inside this tower you can see many of displayed souvenir and some restaurants.